Nice to see a new Intellivision emulator. I tested it on Windows 7 and have some comments. It runs too fast. It’s about 15% fast which is a lot. Reset/restart crashes retroarch. The sound chip sounds more like an a-y-3-8910 than an a-y-3-8914. There’s a subtle difference between the two and only affects some sounds. It’s a minor issue as it makes it sound like an Intellivision II rather than the original Intellivision. Some games like Night Stalker and Tron Deadly Discs use the keypad rather than the side buttons. No way to map game controller buttons directly to emulator keypad buttons. Analog control seems off by about 18deg ccw. I could not get north to work on one of my game controllers. Keypad 0 and clear are mixed up. Scrolling sometimes has some artifacts. Auto Racing graphics are completely wrong affecting gameplay. Dreadnaught Factor dreadnaught explosions are missing the solid screen colour effects. Collisions in Bump’n’jump seem stronger than normal. NASL Soccer has odd ball movements, ball often jumps back to the player. Safecracker has no car graphics. As in the video, Coleco Donkey Kong can’t pick up the hammer. DK Arcade works but the graphics and control are screwed up. Ms Pacman starts but crashes after the game is setup and ready to start. There is a variation to the .rom file format. Looks like Freeintv supports the intellicart .rom file but not the cc3 .rom variation. Not sure if .cfg files are supported or if it depends on a database of cartridge configurations. Cfg file support would make it easier to support new games. Defaults to widescreen aspect ratio rather than 4:3. I’d like to see Netplay support be a priority for Freeintv. The Intellivision has many good games that are for two players only. A lot of stuff here. I can speak to the speed, at least. Sound is a total mystery – I don’t have the ears to tell the difference. It does run faster than jzintv (my guess was ~20%) but it runs a little bit slower than the Intellivision Lives! Intellipack. I can’t change the speed without varying the frame rate. As far as I know, it’s supposed to run at 60fps. I don’t have a working unit to test against at the moment, so I’m limited to what I can find online. On controls, I intend to use the right analog stick for 123,4,6,789 so that games like Tron Deadly Discs are playable. I don’t know when I’ll get to it, but it won’t take much to add. If you can, you’re more than welcome to contribute directly. I didn’t even know cc3 rom format to add until I read your post, after all. Yes, the Intellivision is 240p NTSC so it runs at about 59.94 fps. You can use the USCF Chess cartridge as a guide as it’s clock is programmed to be accurate. I think NFL Football has a realtime clock as well. Do you think Netplay support is possible? It would give Freeintv a very unique feature. Obviously the priority is to get all the games running properly. Adding .cfg and cc3 file support will help reduce frustration with users but it’s not critical. I’m afraid my contributions are limited to testing but I’m happy to help however I can. edit: I did some tests comparing Freeintv and the Intellipack downloads at Intellivisionlives.com and found Retroarch to be about 15% faster. I tested with the Intellipack Windows versions. Did you compare with the Intellipack MAC versions? Weird. Over here, Intellipack runs noticeably faster than Retroarch (Windows 10). We may need need some additional comments here. What are you running? Changing the sound, given the details in your link, is trivial. I wanted to make a build and have you give it a listen. I’m running Retroarch on Windows 7-64 on a 12 year old AMD based PC. When you run USCF Chess, all you have to do is pick up any piece with a side button and the clock starts. I was thinking maybe it had to do with exec vs non-exec cartridges but they all seem to be running fast similarly. Jzintv is the gold standard for Intellivision emulator accuracy. Accuracy is the programmer’s goal and it is constantly being tweaked. The Intellipacks haven’t been touched in over 17 years. Tested this for the first time today, using Windows 10 and a nightly build. it loaded Astrosmash just fine and I had to figure out the controls as nothing came up in the menu - but once I found the in-emu help menu it made sense. Thanks so much for this core. 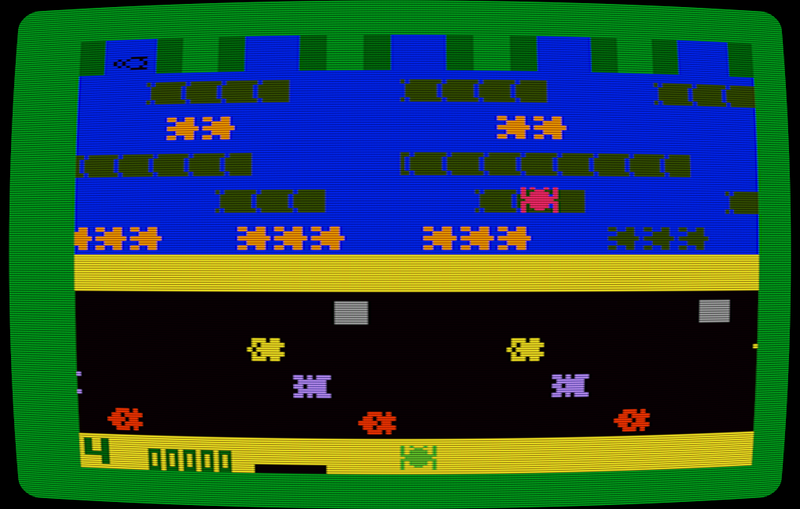 I’m discovering Intellivision thanks to it! I’m at a loss how to configure the core so that I can play it with a “Retropad”. I’m running libretro-freeIntv on Nintendo 3DS and also on SNES Classic Mini. In Intellivision Tron Deadly Discs you can’t shoot with the controller disc/pad, only the keypad. Some people used both controllers to be able to run and shoot at the same time. Microsurgeon was the one game that let you move in 16 directions with one disc/pad and fire in 16 directions with the other disc/pad. Emulating on a computer with jzintv you sometimes setup different controller mappings for different Intellivision games. That’s if you’re not using an Intellivision controller. Tron Deadly Discs and Advanced Dungeons and Dragons might not work with a snes controller, Night Stalker should be possible with the right mappings. That’s a known issue but there isn’t an answer right now. Thanks both! I’ll be patient. Have added a few issues on github about incompatible ROMs. I’m looking into MOB Collision Test.bin to see if I can spot anything. Is there a fix for the speed issue of the games they seem to be running alot faster than the originals? The in game music is sped up as well. Thanks so much for the Intellivision Core. Hopefully some day the Voice Synthesis will be supported too as it probably is the most unique feature of the Intellivision. Everything that I tried (which isn’t much) besides B17 Bomber (which crashed for me after the start screen) runs just fine for me. I don’t know if that crash is emulator related though. The rom could just be broken as well. is there a fix for the games running alot faster than normal? Not yet. It may be a while before I can get back to it. Sprites flicker or get cut in half (those gray squares are half part of trucks). Game looks good in older MESS cores. Some progress here. I suspect the speed issues are related to the collision issues. That is, I think the underlying problem is the same. I’ve mapped the right analog stick to 123, 4,6, 789. I could add an option to map that to ‘disc on other controller’ but I’m not sure how to do that intuitively like the controller swap. I’ve fixed the weird collision issues. They were related to timing, so the same fix should help with the speed issues as well.